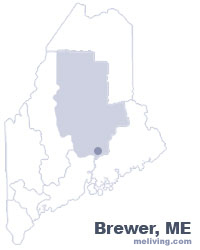 The city of Brewer, Maine offers economic opportunity with its urban location and access to an excellent highway network, while maintaining its small town quality of life. Brewer was named after Colonel John Brewer who settled here in the late 1700’s. To share any Brewer, Maine information with us, please contact us. Learn more about advertising in MELiving.